The machine that launched an industry. 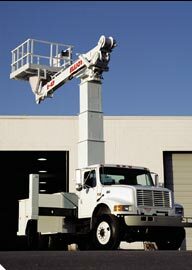 Wide-ranging Elliott HiReach telescoping aerial workplatforms and cranes offer allow you to do more with just a single machine. 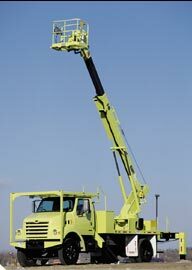 From material handling and digging to basic crane and boom, the HiReach does the work of a fleet of trucks. 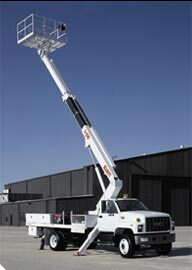 Available with heights ranging from 35 feet to 168 feet, the HiReach comes fully equipped with standard features that are sold as options by our competition. Only Elliott features full hydraulic extension with no cables and chains. Our "piggyback" cylinder arrangement gives you the smoothest, most precise ride in the industry. 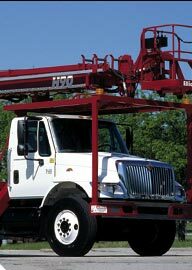 What's more, all of Elliott's products can be customized to create tailor-made machines that include special platform features, pressure washers, body and tool box packages and more.